Having your teeth whitened can be an excellent way to upgrade your appearance, boost your self-esteem, and brighten your smile. For the days and weeks after having your teeth professionally whitened, however, it is essential to avoid foods and beverages that may stain the fresh palette of your newly whitened teeth. The first 24-48 hours are the most important, but it is wise to avoid some items for even longer to maximize your results. Read on to learn more about the specific foods and beverages that are the most damaging. One of the worst things you can do after having your teeth bleached is to pick your soda habit right back up. Soda is a combination of all the worst things for freshly whitened teeth; its dark color, caffeinated contents, acidic nature, and high sugar levels are just generally terrible for your teeth. Drinking dark sodas will stain your teeth almost instantly after bleaching. Red wine is another beverage to avoid for a while after having your teeth whitened. White wine is a more advisable substitute, since it lacks the dark, staining color that can be problematic when trying to keep your teeth as white as possible. 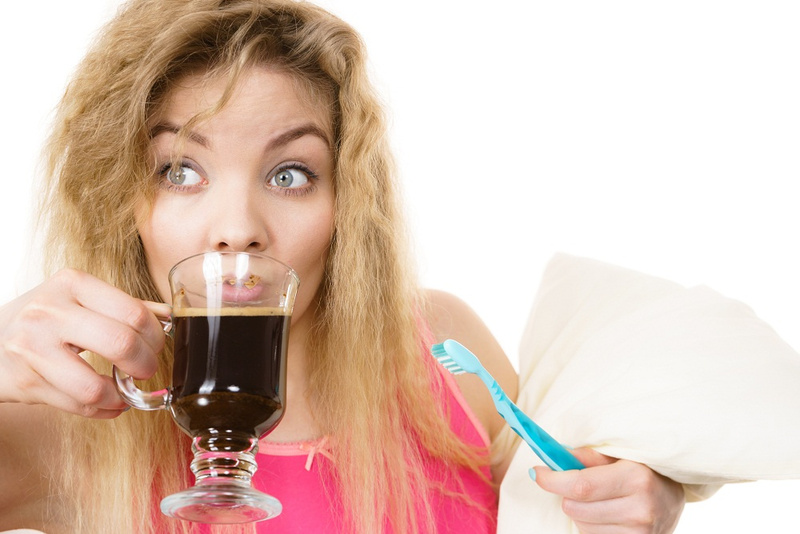 Coffee is another dark, caffeinated liquid that will cause major stains on your teeth. It can be particularly problematic in the first 48 hours after bleaching, but it is generally advised to avoid coffee for even longer than that for best results. You’ve probably noticed a pattern by now that dark-colored beverages are some of the top culprits when it comes to staining your teeth. Teas of all kinds fall into this category as well. In addition to the probability of causing stains, many freshly whitened teeth are particularly sensitive to hot and cold liquids, so it may be more pleasant to avoid teas, coffees, and sodas in order to minimize discomfort as well as staining. In addition to being careful about what you drink, it is advisable to watch what kinds of sauces you put onto your foods after whitening your teeth. Soy sauce, Bolognese, barbeque sauce, tomato sauces, and even red meats all fall into the staining category. Basically, if it would stain a white shirt, it will probably stain your teeth after a whitening session. For the chocolate lovers out there, it is smart to abstain for a while after having your teeth whitened. All forms of chocolate, including cakes, candies, hot chocolate, and others, can leave stains in the weeks after whitening, but the caffeine content of dark chocolate makes it particularly damaging. In addition to dark colors that can stain and damage teeth, the acid content of foods should also be taken into consideration. Citrus fruits and juices, blueberries, sour foods, and other acidic foods can damage enamel, increase tooth sensitivity, and promote stains during the period after whitening. Other things to be mindful of and avoid include cigarettes, colored toothpastes or mouthwashes, highly pigmented drinks, and anything else that seems likely to leave color behind on freshly bleached teeth. 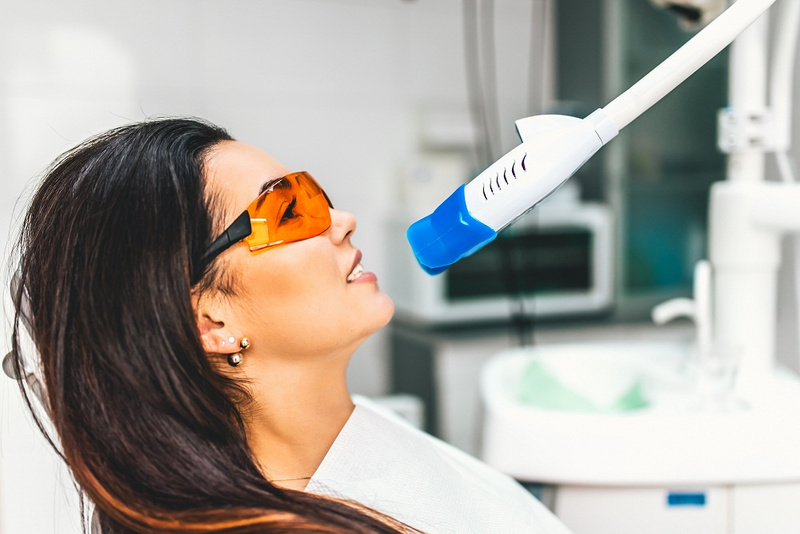 To start your teeth whitening process or ask a question to your dentist in Fairbanks, reach out to the experts at the North Pole Dental Workshop today! Should you have questions or concerns about our services, feel free to call North Pole Dental Workshop. One of our staff members will be more than happy to assist you on your dental needs. We look forward to hearing from you soon!